An Easter egg hunt is one of the lovely Easter activities to celebrate the Easter Sunday that young and old love! Easter egg games are always exciting to children of all ages and they become more thrilling and funnier when you add a touch of creativity to them. We’ve rounded up some fantastic Easter egg hunt ideas that will make finding those chocolate eggs or Easter baskets a bit more thrilling and will surely give your kids a pleasant surprise! It is the classic scavenger hunt but with a twist. The kids will not just collect every egg they find but for specific eggs and gifts. 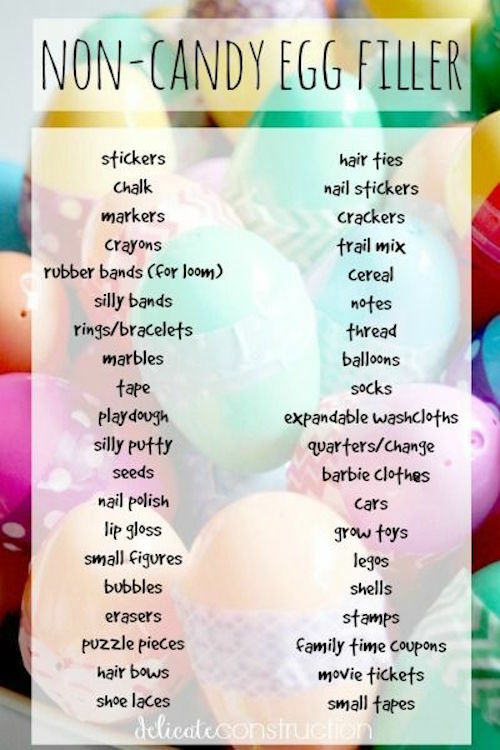 Give each kid a list of different items such as two golden eggs, three eggs filled with a coin, a chocolate bunny, etc. When they find everything on the list, give a final clue that leads them to their Easter baskets. Use photos or drawings for kids who can’t read yet. Need Help Filling Their Easter Basket? If kids of different ages are going to participate in the hunt, make the game fair to all by asking each kid to look for only specific types of eggs and prizes. For example, assign separate color to each player and tell them to look for the eggs of only that color. Plus, tell them to take only those prizes that have their initial on them. If the participating children are a bit older, incite their imagination by involving them in treasure hunts. Create rhyming or puzzle clues and number them to keep the kids on track. Each clue will take them a step closer to the hiding place where the Easter Bunny left its basket. Don’t make the clues too difficult to figure out, as it may spoil the fun. Draw a treasure map that leads the way to the hidden bounty. Cut the map in pieces and scatter them around the house. When all the pieces are found, kids will have to figure out where the Easter basket is hidden. Number each piece so kids face no problem to assemble it. Give them eye patches and pirate outfits (if possible) to make the hunting more interesting. These Easter egg hunt ideas are fun and entertaining. Your kids and their friends will definitely love to participate in such interesting egg hunting games. To keep them more involved with the games, ask them to help you with Easter egg decorating before the beginning of the game. 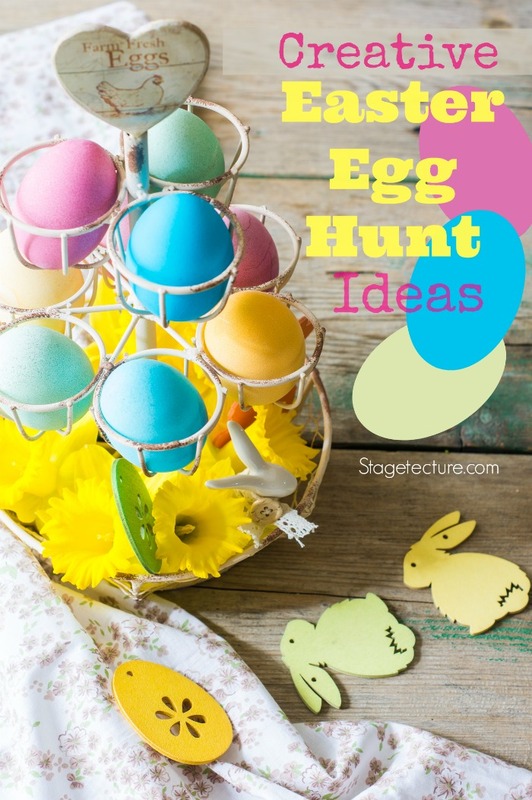 For more Easter Egg Hunt Ideas on Stagetecture, click here. I really like the scavenger hunt idea. Now that all the kids are older, we have to be a bit more creative. So glad you shared with us at Merry Monday.